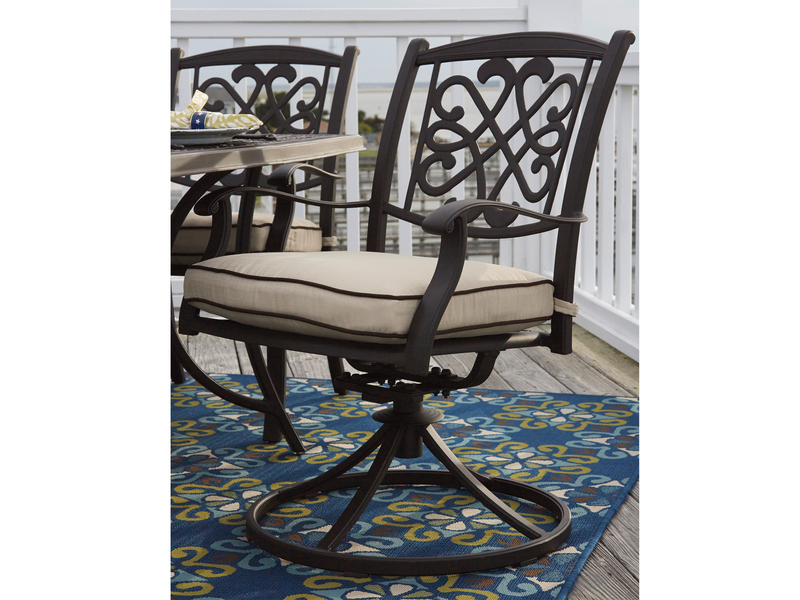 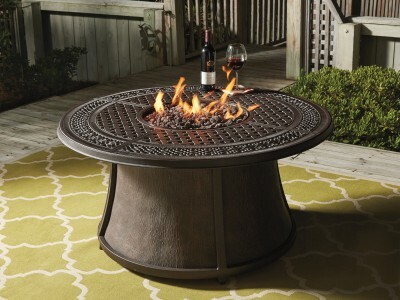 Burnella outdoor swivel rocker dining chair's graceful profile and lasting cast aluminum construction make gathering at the round table more enjoyable. 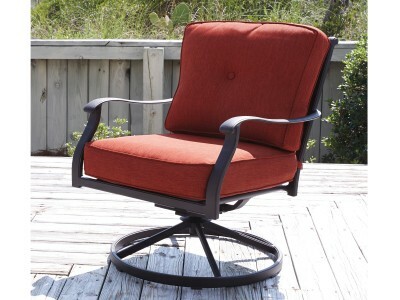 Reversible seat cushion secures to the chair frame. 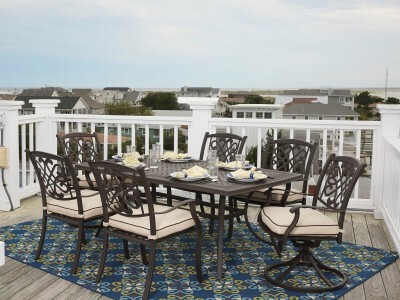 Easy-care Nuvella™ covers remain bright looking through seasons of use.